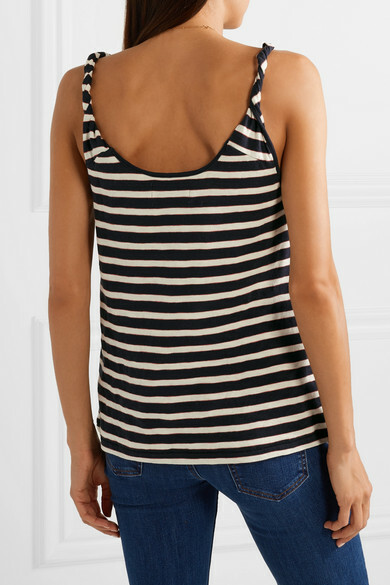 Current/Elliott's ‘The Twisted’ tank is named for its twined shoulder straps. 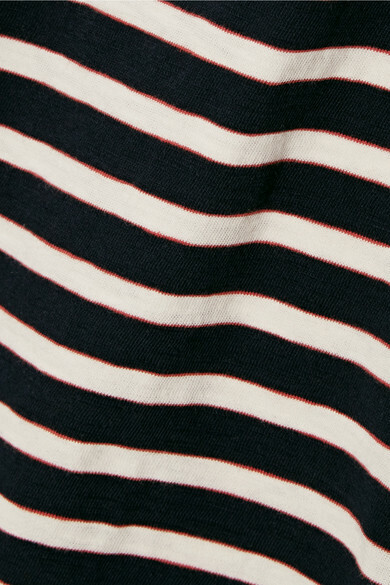 Cut from stretch-cotton jersey for a relaxed fit, it's patterned with navy, cream and red stripes and has a scoop neck. 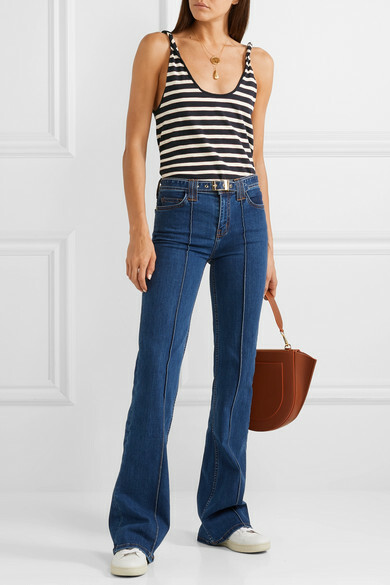 Wear yours half-tucked into the brand's 'Admirer' jeans for a retro-inspired outfit. Shown here with: Wandler Shoulder bag, Veja Sneakers, Alighieri Necklace, Alighieri Necklace.